Let your creativity run free with 70 embroidery designs, 120 wide stitches and 7 buttonholes. With a large sewing space of 200mm and a large embroidery area of 240 x 150mm you will be able to produce larger items, such as quilts and home décor projects, hassle free. 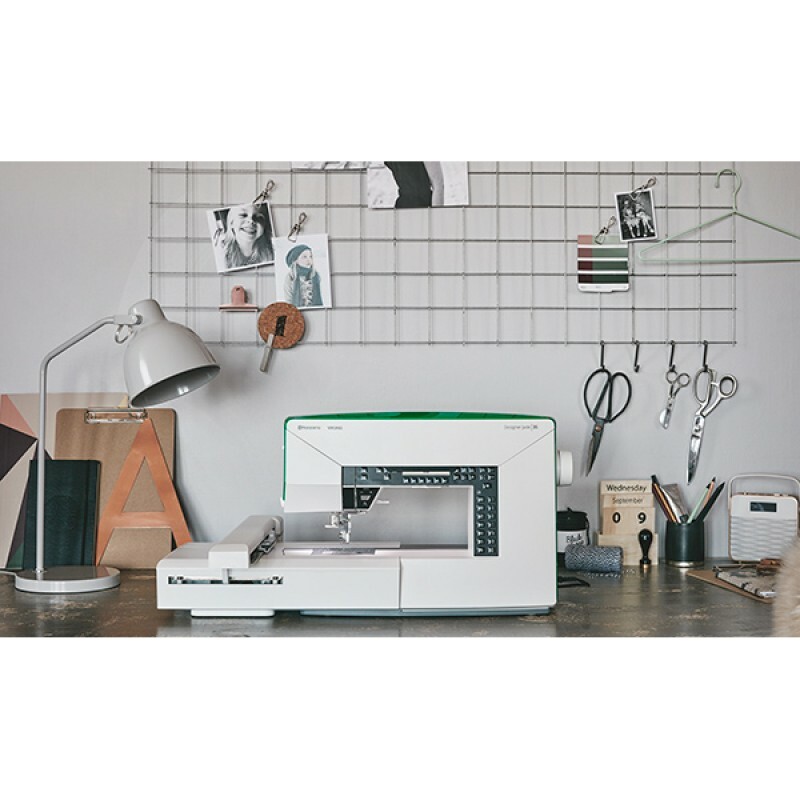 The Embroidery Intro PC Software is also included, adjust, personalize, combine your embroidery and create monograms all on your PC computer. Rotate, mirror, scale and resize any design with the choice to keep stitch density constant, and more! •70 included embroidery designs and one font in three sizes. •Graphic display lets you view all the selections and options. All the sewing recommendations and chosen stitch is shown in real size on the graphic display. •Modern, convenient and easily accessible storage for all the included accessories including the foot controller. •Great selection of embroidery designs, frames and corners for creative combinations What's included?